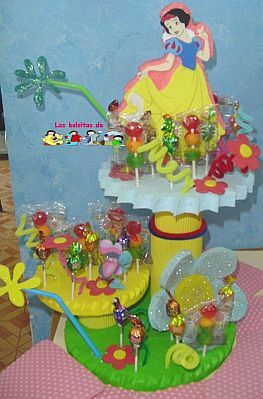 A major theme in the decoration of a birthday party, are the centerpieces, these small works of art not only serve to be placed as ornaments on the main table and the guests tables, but it is also possible to use them to place the snacks and treats for attendees. 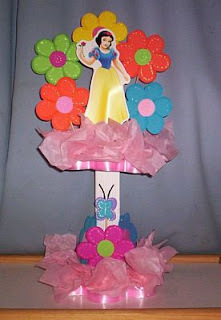 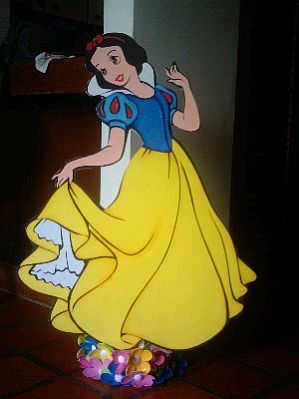 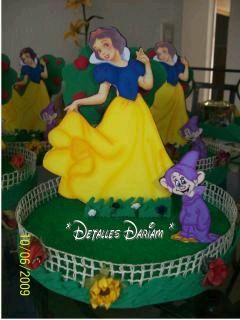 If your decorating theme is the sweet and naive Snow White, here are some interesting proposals for centerpieces. This first centerpiece flowers provides a database with the image of Snow White in the middle, you can put pacifiers embedded right in between the flowers. 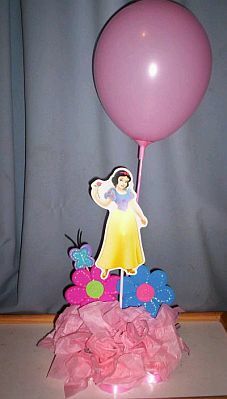 If you prefer, you can use an image of one of the dwarfs in your centerpieces and see which are also very good. 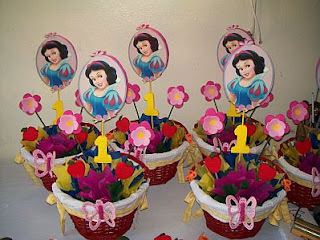 Cute flower baskets, among them Snow White image, details that will look great in the middle of the tables. 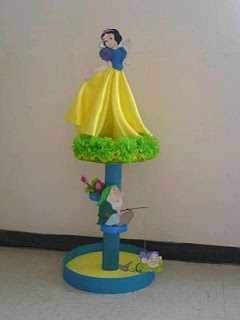 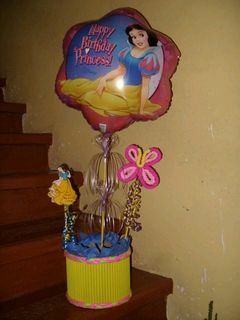 Centerpiece of three levels, each adorned with flowers and at the top, the image of Snow White. 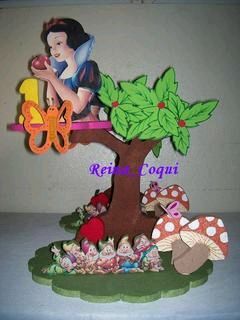 Cute centerpiece of two levels, the first is possible to place the treats and pacifiers, in the top, you can see two dwarfs and Snow White among the top. Beautiful centerpiece of two levels, the first seen the little men, on top Snow White to bite the apple. Tender centerpiece with Snow White, the two levels are decorated with flowers. Centerpiece of a level with Snow White in the middle accompanied by the dwarf Dopey. Finally, if you prefer the centerpieces decorated with balloons, here are two models, the first with the traditional balloons and the second metallic balloons. 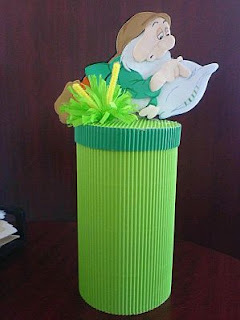 I hope you enjoyed these ideas.